Do you see human faces in inanimate objects? Do you giggle when you look at cars because their grills look like funny characters? If so, you’ve no doubt noticed that electrical sockets (in the US, at least) look like very surprised faces. So why not have a little fun with that and make them into adorable characters? 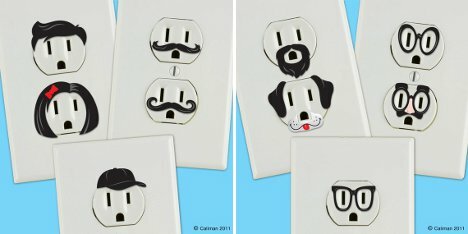 Etsy shop Creative Outlets sells sets of cute stickers that turn your outlets into a variety of silly characters. 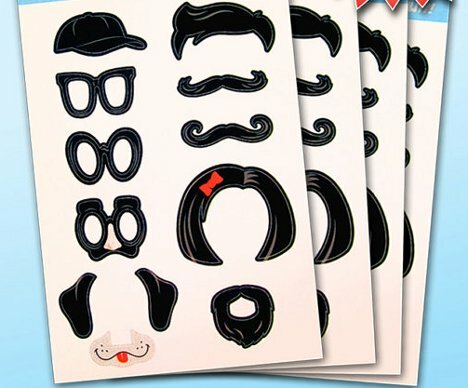 You can combine them in any way that strikes your fancy to satisfy that odd need to see faces in absolutely everything. See more in Various Gizmos or under Gadgets. April, 2012.